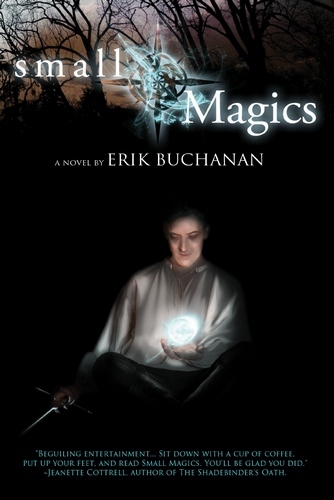 In a world where no one really believes in magic, one man is stealing all that's left... Erik Buchanan's first novel introduces Thomas Flarety, whose first visit home from school in four years brings him face to face with a juggler who can create a ball of light from air, a Bishop who can control men with his voice, and a plot to steal what magic is left in the world. Before long, Thomas is thrust into a nightmare of betrayal and murder, where all that he has is threatened by a power he does not understand, and where learning to master a power he did not know he had may be the only way he can survive. I have been an actor in Toronto for ten years, working mostly in theatre (I'm a CAEA member), with the occasional venture into film and television, including being co-host of Pools, Patios and Decks on HGTV Canada for a couple of years. I am also a playwright and am currently working on an adaptation of a classical novel for stage, which I hope to start workshopping in 2006. I have been on hiatus for a year to focus on writing and on my new daughter, but I am back to it and hope to be coming to a stage near you in the near future.